Discover how a variety of stake holders are seeing real world measurable benefits after adopting our EvidenceOnQ solution. SAN ANTONIO POLICE DEPT, TX... Improved Security, Accuracy, & Dramatic Time and Cost Savings. The worst fear of every evidence manager is that they will inadvertently destroy evidence that is crucial to a case. This article tells what happened in 2006 when that fear became a reality for the Colorado Springs Police Department. 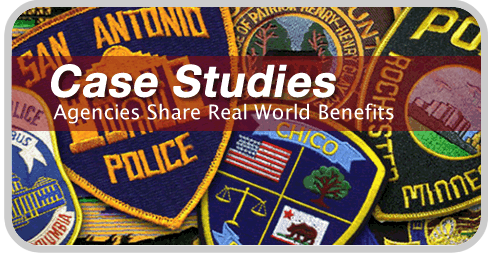 A simple comparison of how EvidenceOnQ impacted the Covina Police Department in California.